I happened to be in Manchester and stumbled upon Bernie Wilcox, who was one of the main organisers of the Northern Carnival Against the Nazis, which took place 40 years ago. 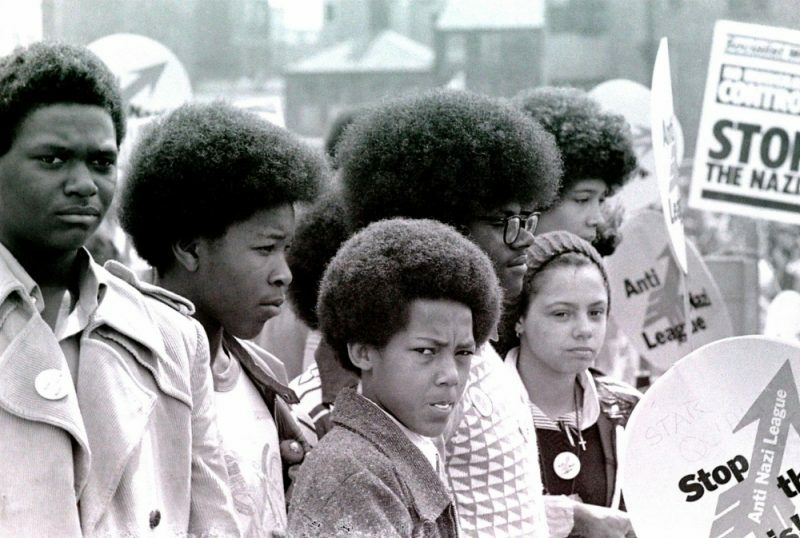 A defining moment in establishing anti-racism movements in the city and beyond, the gathering was supported by music bands including Birmingham’s reggae group Steel Pulse and Bolton punk rock band Buzzcocks. Bernie has been putting together an exhibition showcasing this historic day, which opens today. What’s the current project all about? 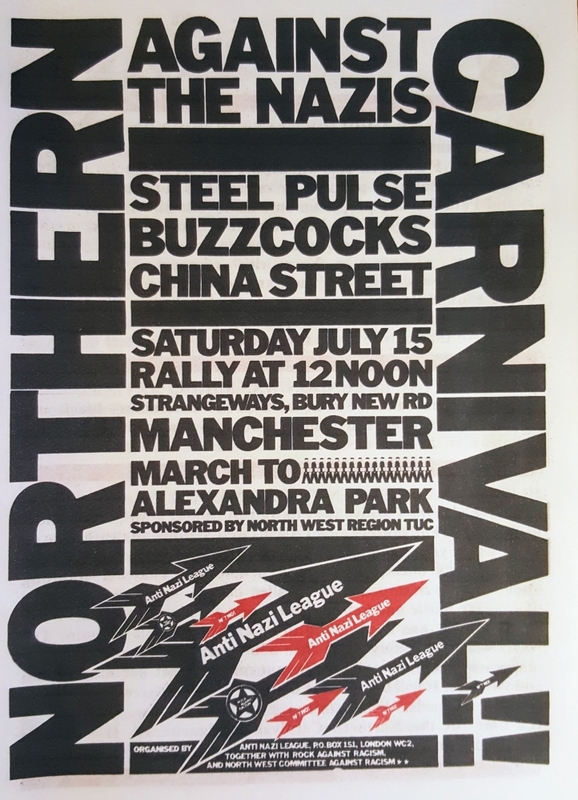 40 years ago, we arranged the Northern Carnival Against the Nazis. 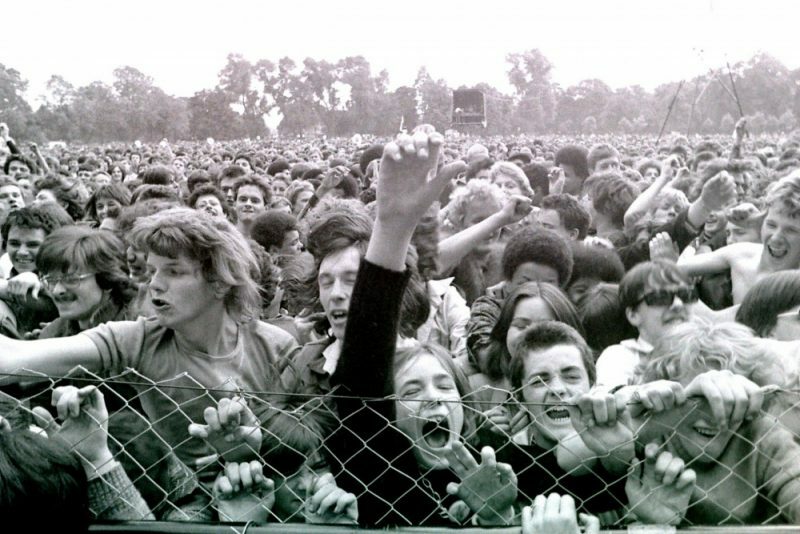 We had 15,000 people marching from Strangeways Jail to Alexander Park in Moss Side, joining 25,000 other people in the park; and we had 40,000 people in the park listening to the Buzzcocks, Birmingham band Steel Pulse and a couple of reggae bands – Exodus and China Street – from Moss Side. We are organising a commemoration of the 40 years since that anti-racist event. We’ve had £10,000 from the Lottery Heritage Fund to do this. It runs from 3rd September, for 3 weeks. Do you think a lot has changed since 1978? How can we as communities change perceptions? There is a long way to go, let’s not underestimate how far we have come. When you look at Europe, with quite vicious demonstrations in Germany, Poland and Hungary, we don’t get that in the UK; so let’s not underestimate how far we’ve come but let’s recognise how far we’ve got to go. What changes would you like to see if you had that magic wand? The first thing I’d like to see is better job opportunities and career opportunities for people of colour because that’s the first step, an economic step in getting people equal. We can have all the cultural things we want but unless people are equal on a financial setting, equality will never happen. The exhibition is about the event and the march that happened 40 years ago, with a video showing what happened and why it’s important. Co-organised by the Anti-Nazi League and Rock Against Racism, the Carnival featured incendiary live performances by pop-punk superstars Buzzcocks and Steel Pulse, the UK’s leading reggae band of the period. To celebrate this pivotal moment in Manchester’s fight against racism, Manchester Digital Music Archive and the Ahmed Iqbal Ullah Education Trust recently brought together the original organisers of the Carnival for a panel discussion and all-day event exploring its impact and continuing relevance today. Photographs, posters and historic reminders from the festival are now being exhibited throughout September, in a Heritage Lottery-funded project, supported by Futura. On July 15th 1978, Ramila Patel of Bolton Asian Youth Movement addressed a crowd of 15,000 anti-racism protesters that had amassed in the car park of Strangeways prison to march across town to Alexandra Park in Moss Side – the main site of the Northern Carinval Against the Nazis. 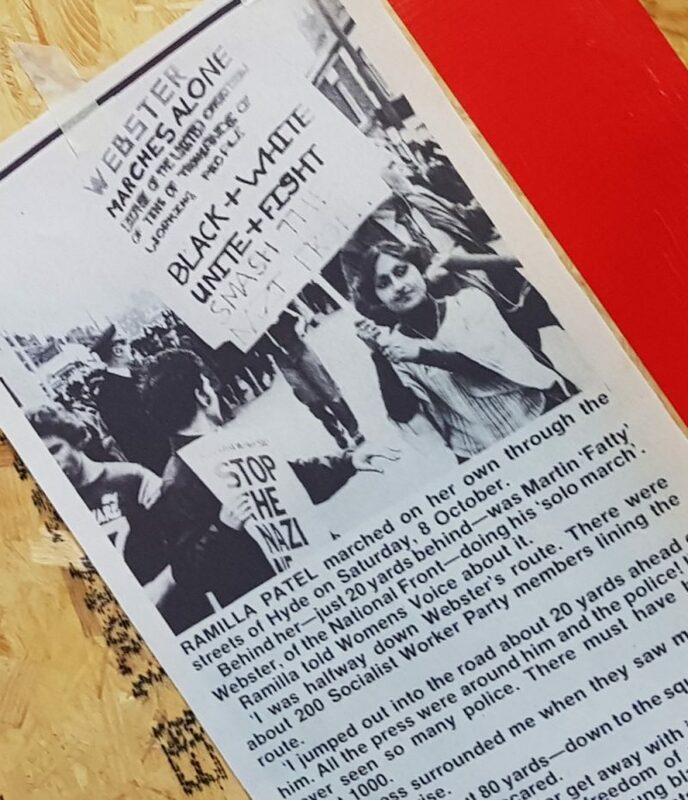 Ramila was asked to give the address by Anti-Nazi League organsier Geoff Brown, following her brave stance against National Front leader Martin Webster at a previous demo, in which she marched alone in defiance of Webster holding a placard saying ‘This man is a Nazi’. Ramila is now Head of Visual Arts at Waterford Kamhlaba United World College of Southern Africa. 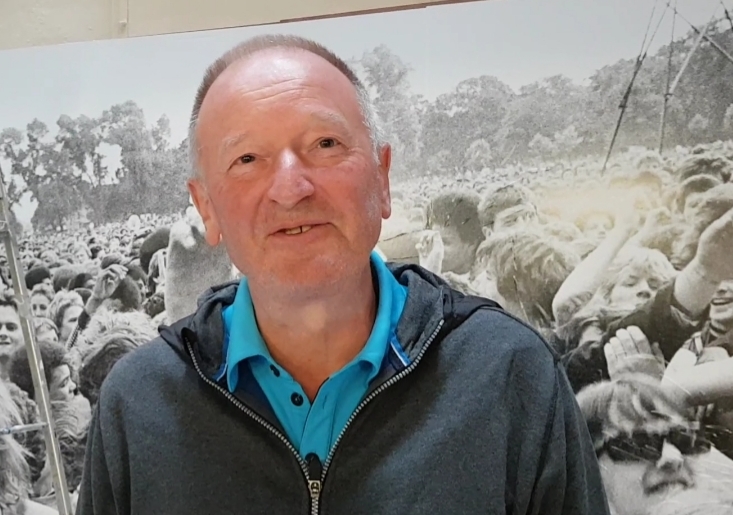 Bernie Wilcox was the original organiser of Rock Against Racism in Manchester and was, with Geoff Brown of the Anti Nazi League, one of the instigators and prime movers behind the Northern Carnival Against The Nazis in 1978. Bernie has since forged a successful business career owning specialist recruitment businesses. Anti-racism, socialism and music are still close to his heart. Geoff became a revolutionary socialist at university in 1968, active in the campaign against the US war in Vietnam. His first arrest was for chalking slogans on his college wall, his second for obstructing a police officer at an anti-National Front protest. Joining the International Socialists (from 1977 the Socialist Workers Party) he moved to Manchester in 1972. When the Anti Nazi League was founded in late 1977 he became its Manchester organiser, helping saturate the city with leaflets, badges and protests and getting fifty coaches and minibuses, about 2,500 people, to the first Anti Nazi League/Rock Against Racism carnival in London in April 1978. Geoff went on to be a union tutor, working with shop stewards and on projects abroad, particularly in Pakistan. He was union branch secretary till he was victimised for his trade union activity, after which he was a part time official for his union, finishing in 2015. He is now active as a historian of Manchester ‘from below’. The Northern Carnival 40th Anniversary exhibition is on from Monday 3rd September until 22nd September at the NIAMOS (former NIA centre) in Manchester.